Dec 1 You haven’t read the book yet?! Let’s just ignore the fact that I haven’t yet read the last book, and let’s instead ask ourselves whether it really is necessary to read the book before watching the movie. After all, I’m fairly certain on that we all can agree upon that reading a book and watching a movie are two entirely different experiences. 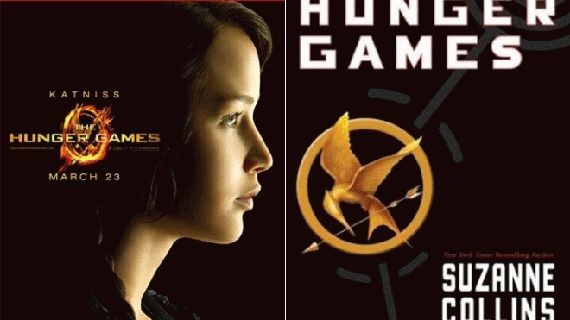 Let’s take the Hunger Games trilogy as an example. Despite reading the two first books after watching the movies, I did not feel any discomfort whatsoever and unexpectedly I fancied both of the versions equally as much. However, while the two represent the same story and world, they do differ in many ways. While the readers can experience the scarred world of Panem through Katniss’ curious eyes in the books, the movie features a more broad and objective view of the world. The books and movies are two different means of expression, and therefore I usually do not expect the movie to be an exact replica of the book. I am aware of that many elements of a book cannot be captured on screen, even though I still frown bitterly when an important scene is missing or when a character does not resemble the one in my imagination. The books are most of the time simply so much better than the movies. And this is precisely the reason to why I belong to a seemingly small group of people that prefer watching the movie before reading the book. I find that the few times where I have read the book before watching the movie, have only resulted in a sullen disappointment as the movie does not live up to the book. I’d rather be positively surprised by a book, than disappointed by a movie. Of course my love for this concept also has something to do with the element of surprise and thrill that I feel the movie often manages to capture in a better way. But of course, we all have our different opinions. Just don’t feel like you have to read a book before you go watch the movie, just because you are expected to.